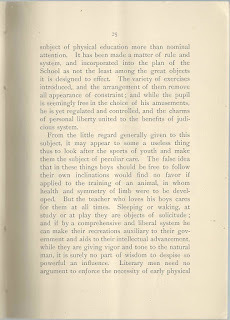 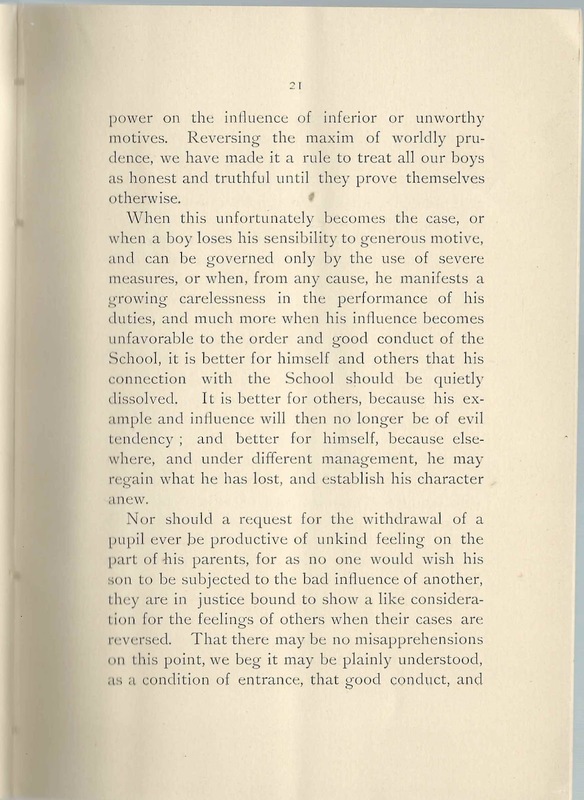 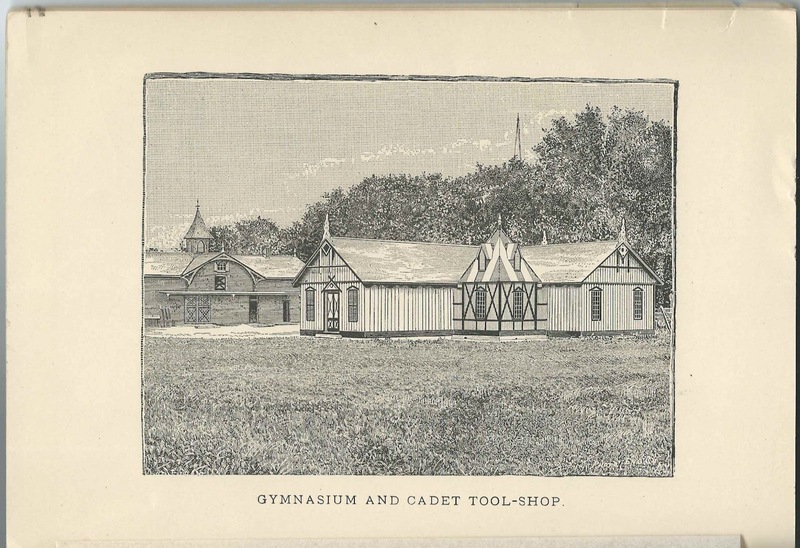 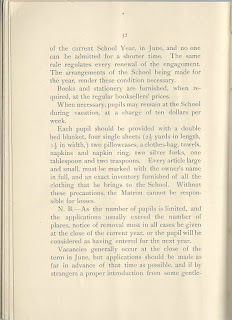 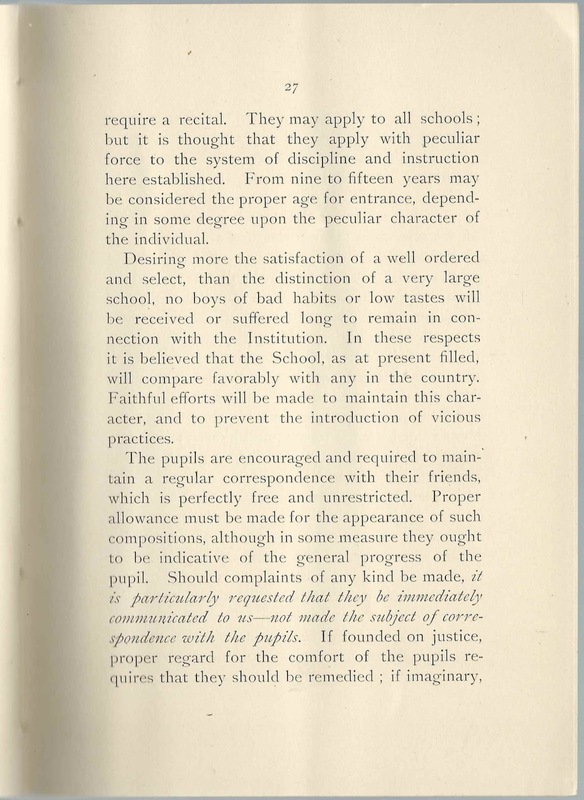 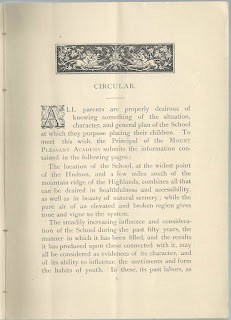 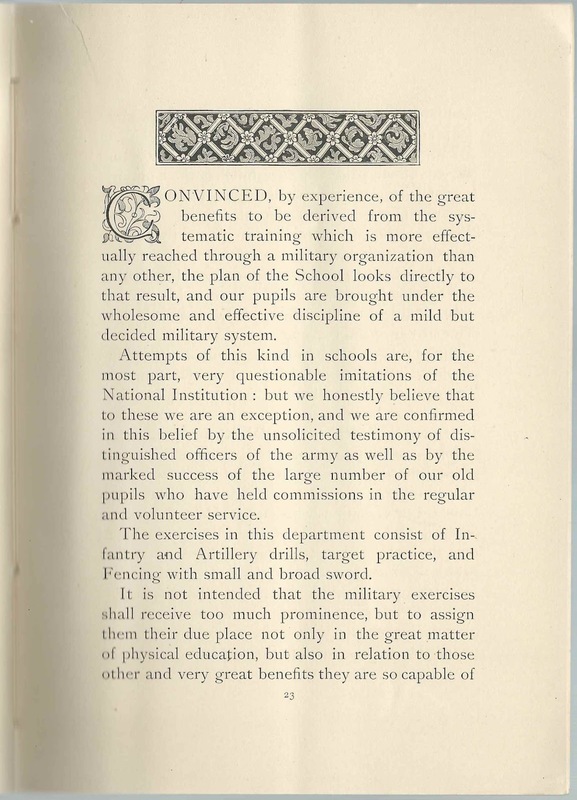 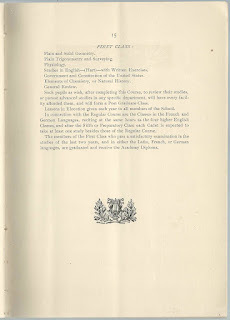 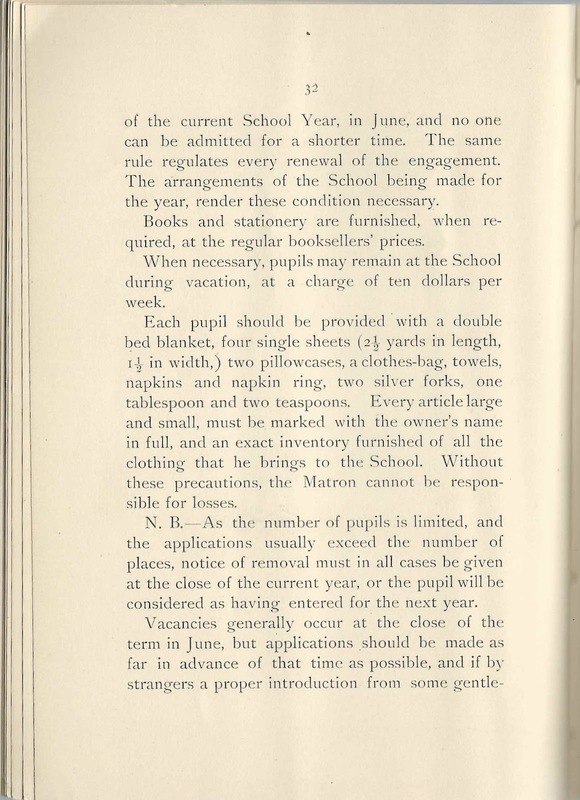 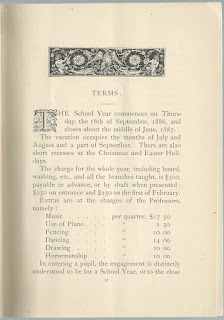 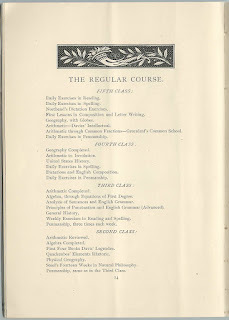 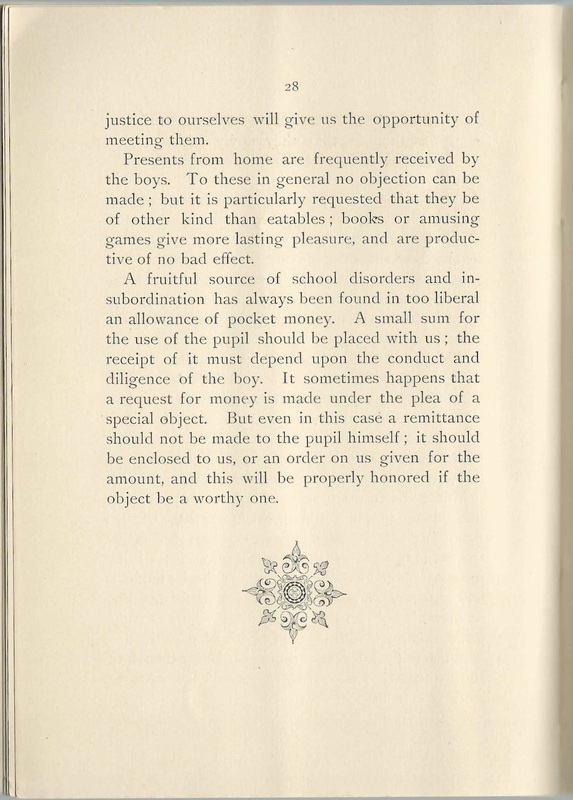 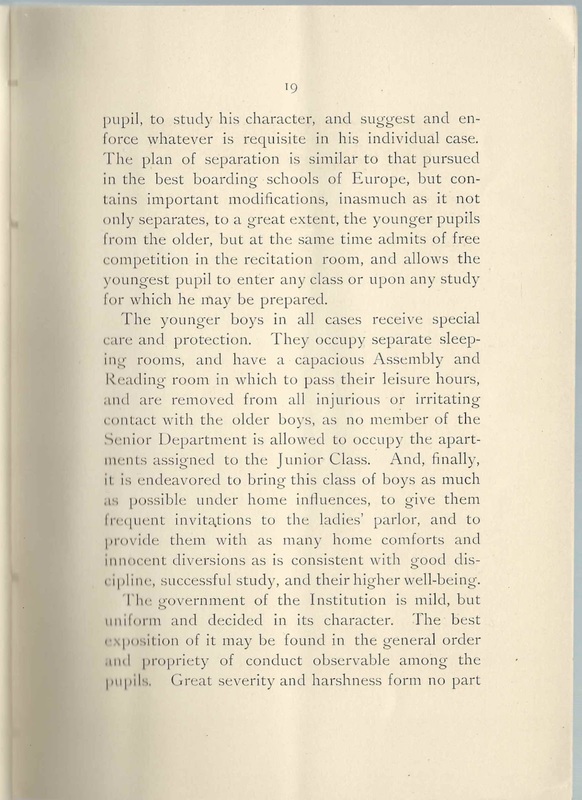 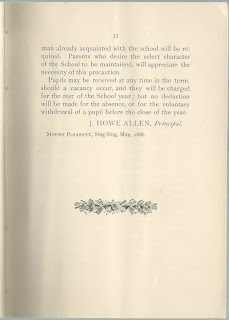 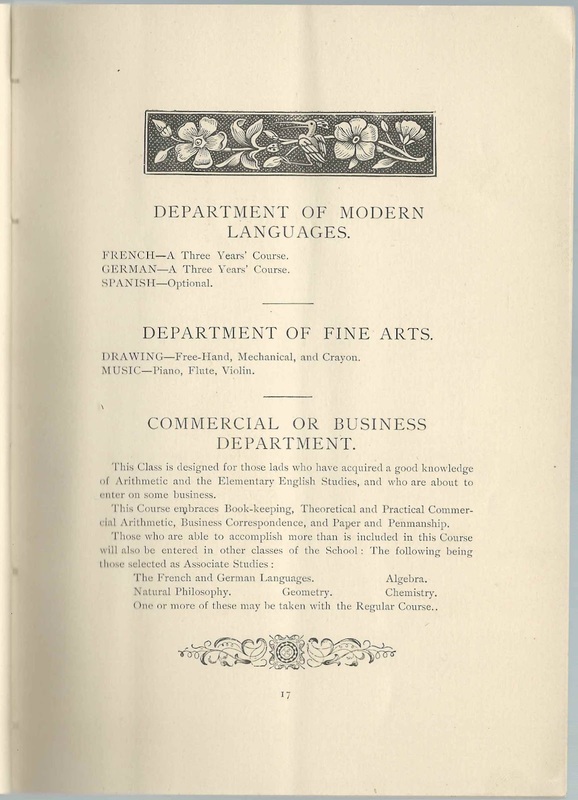 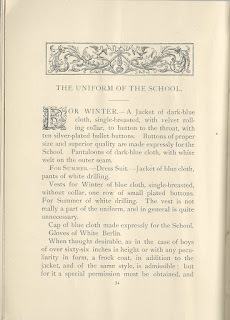 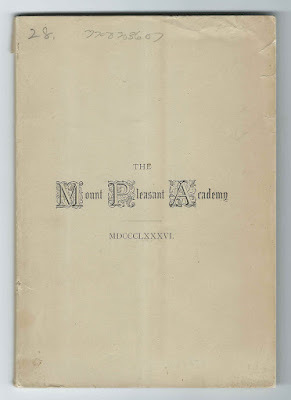 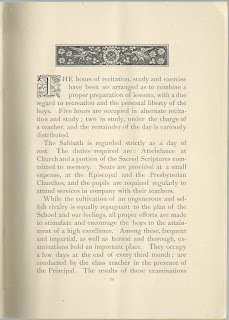 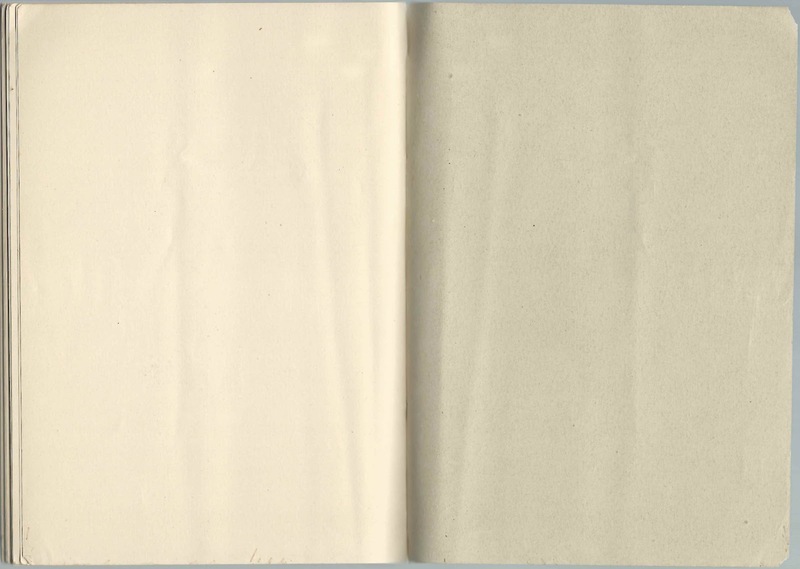 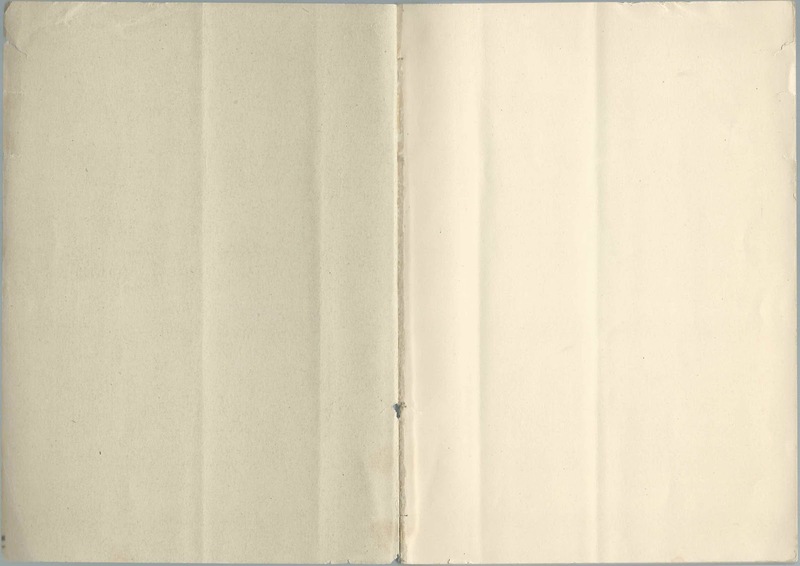 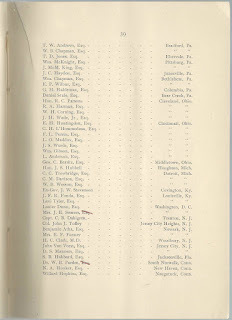 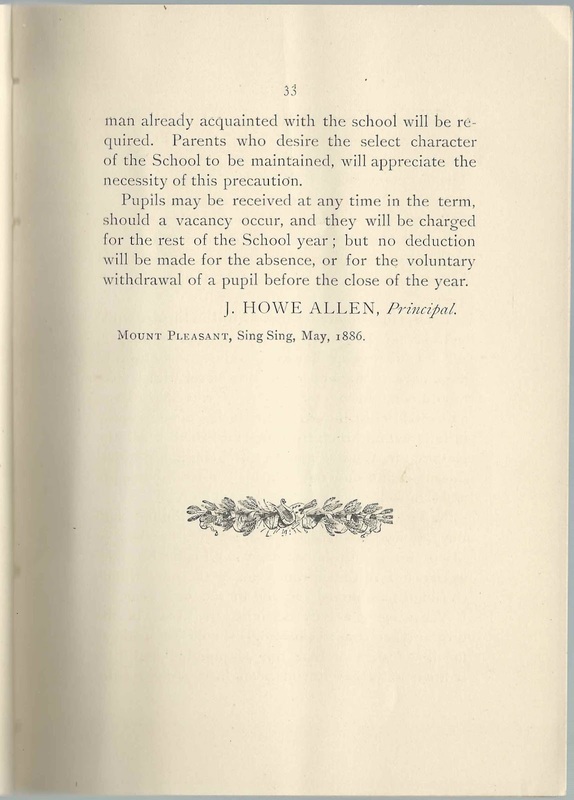 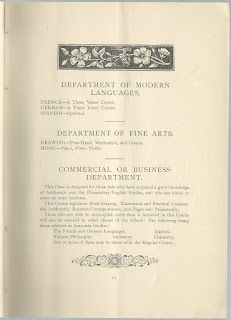 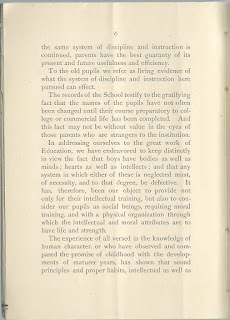 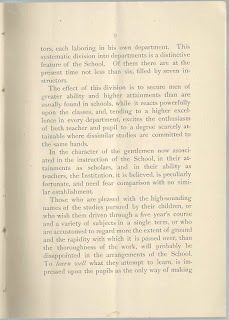 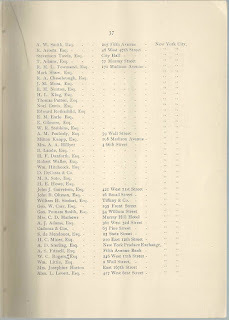 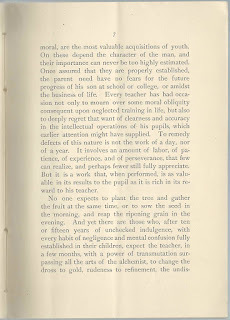 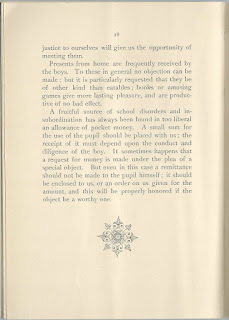 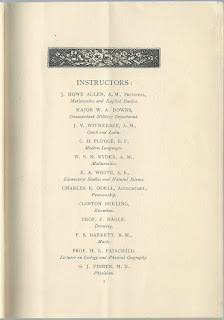 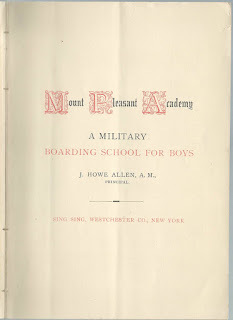 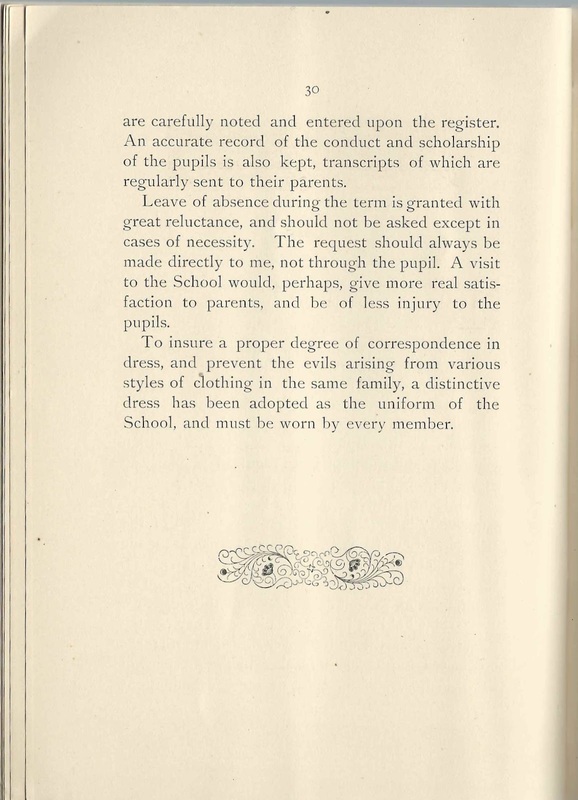 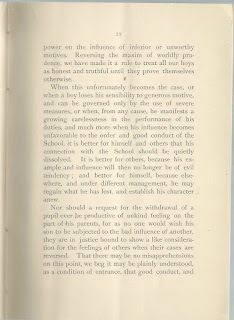 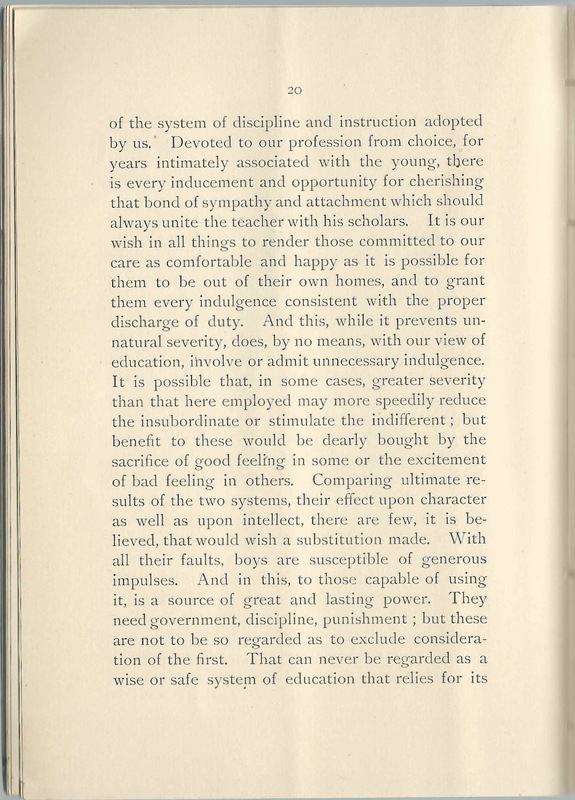 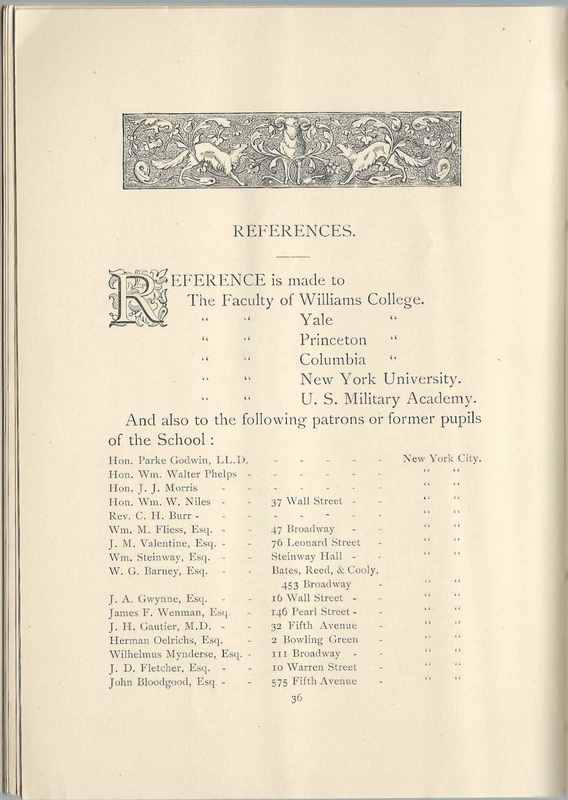 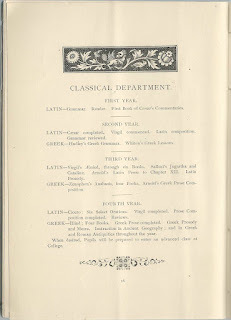 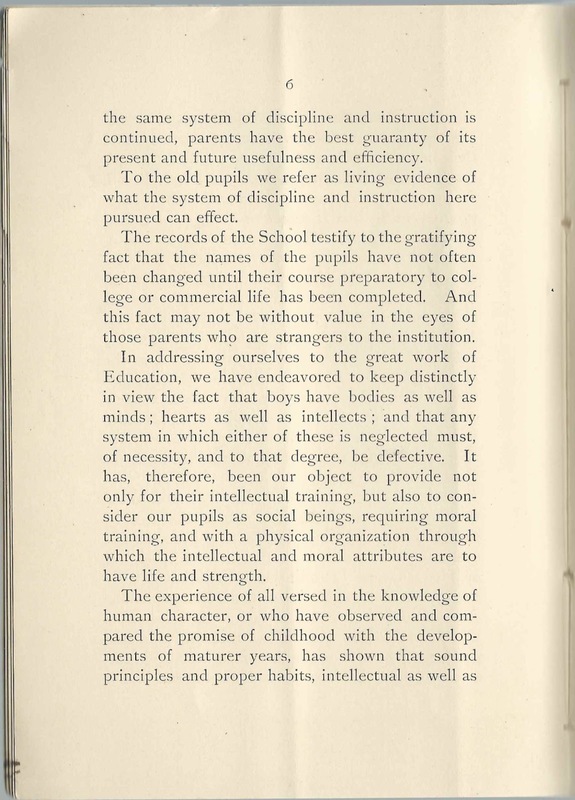 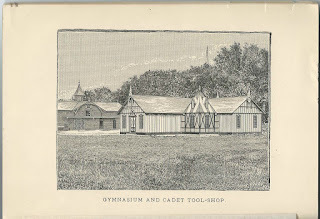 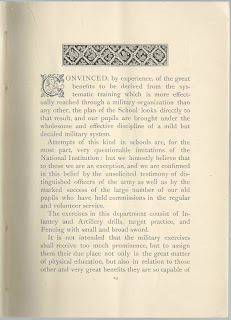 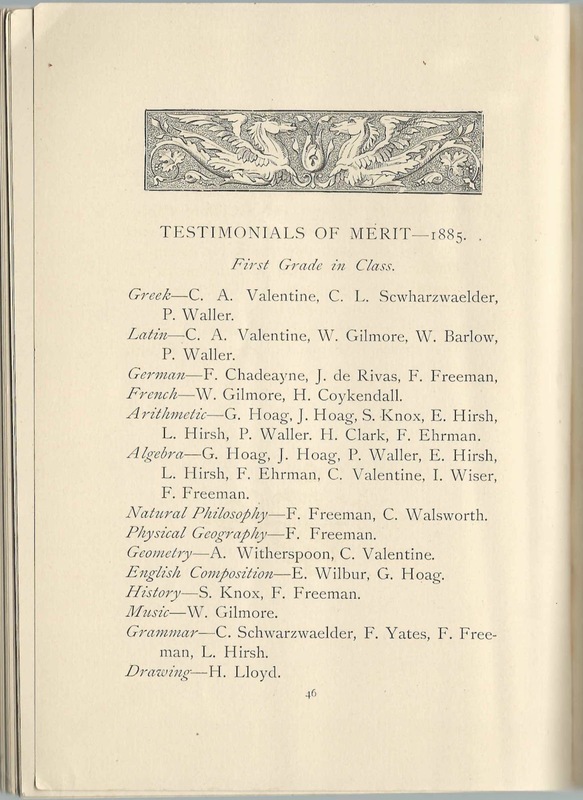 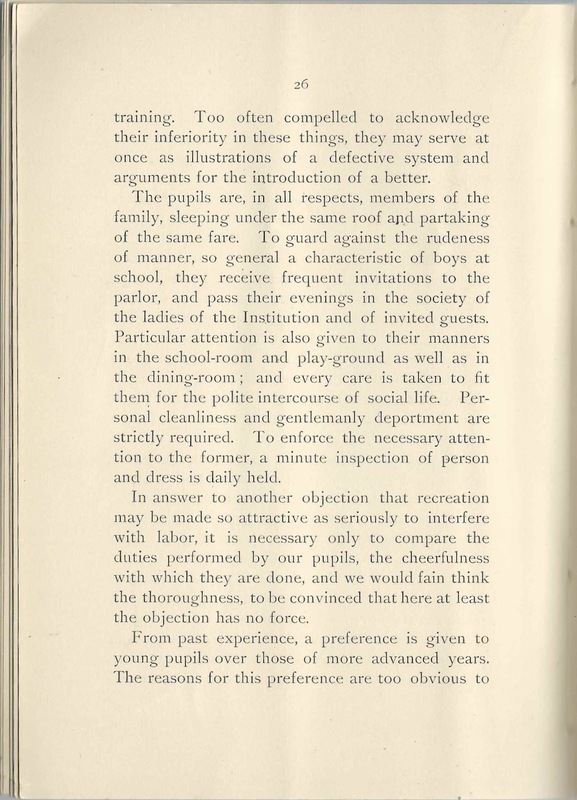 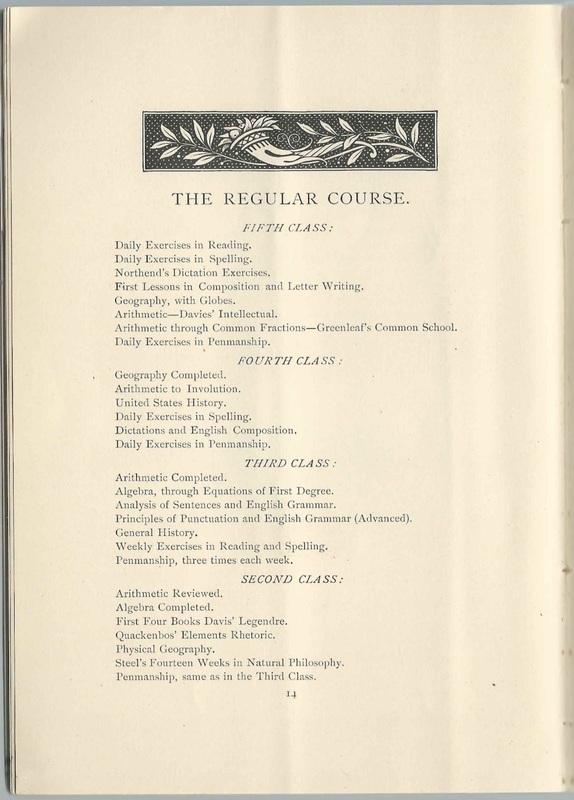 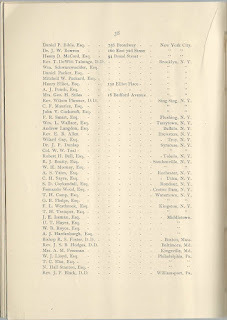 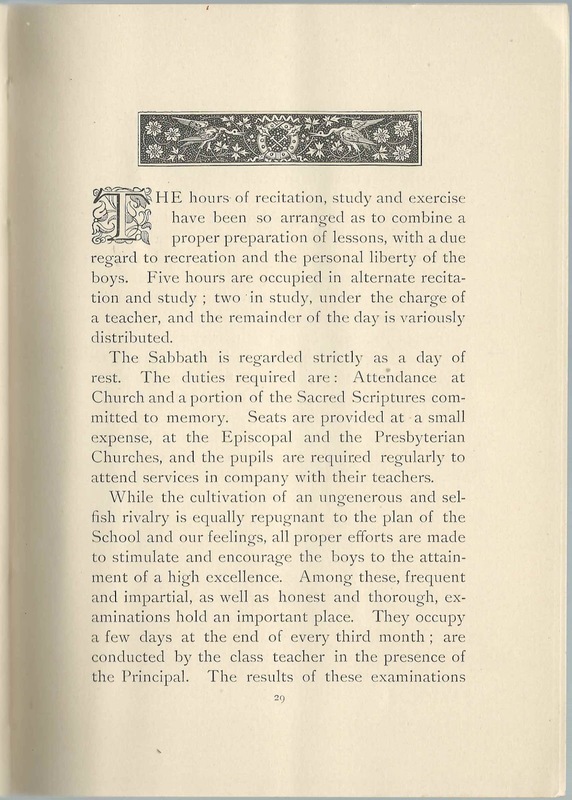 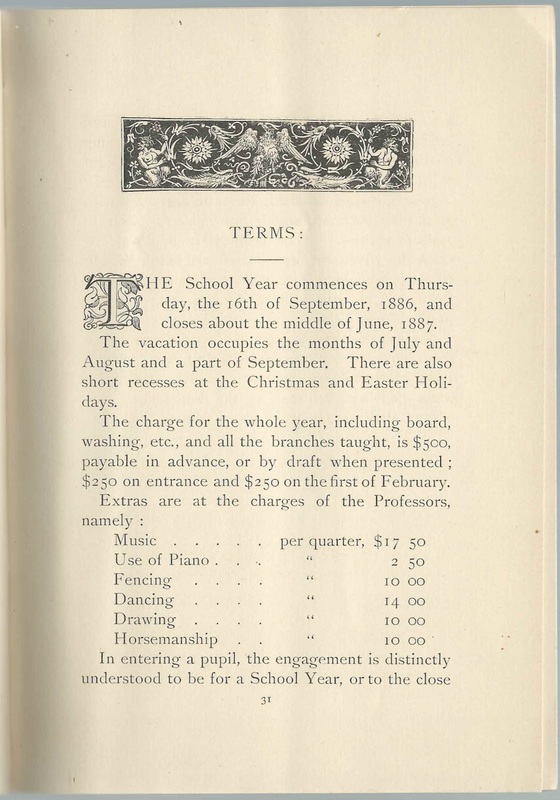 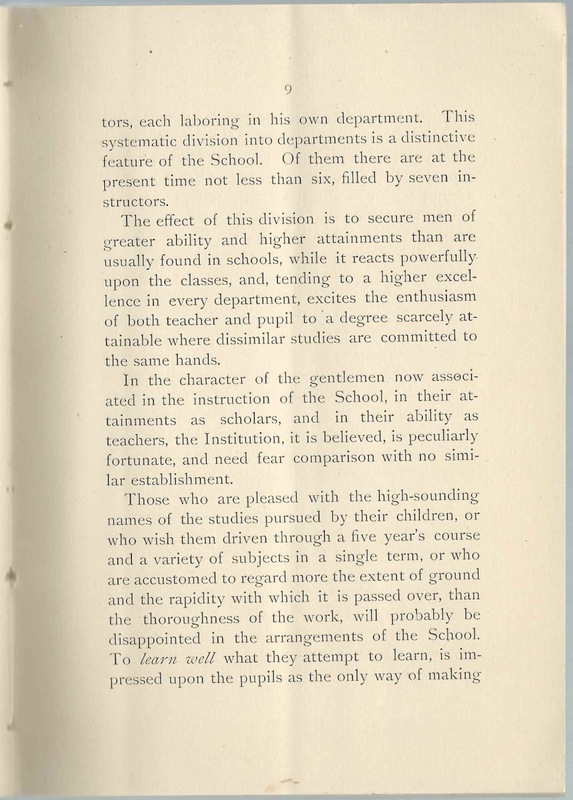 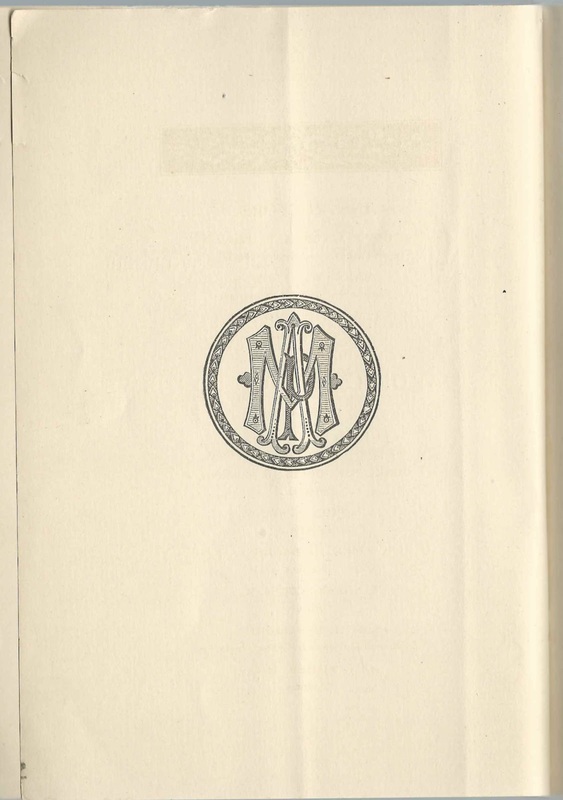 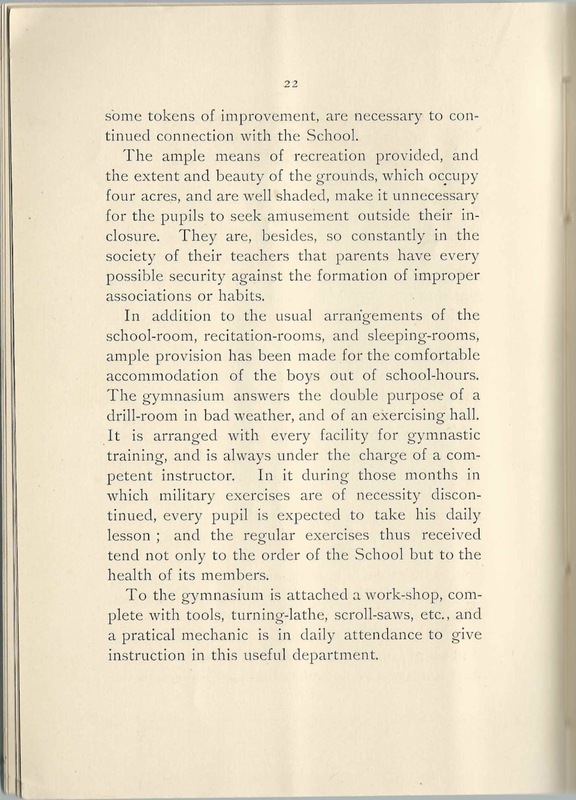 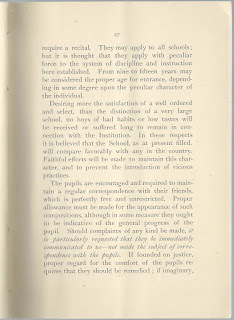 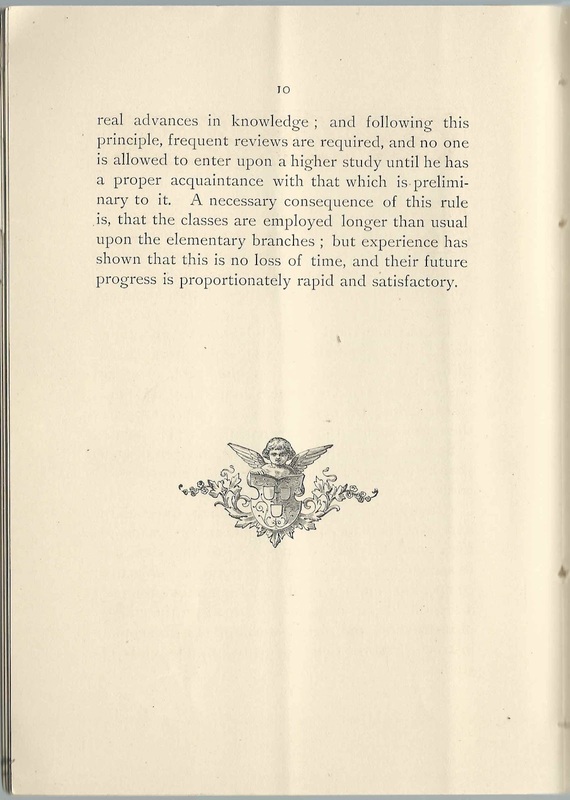 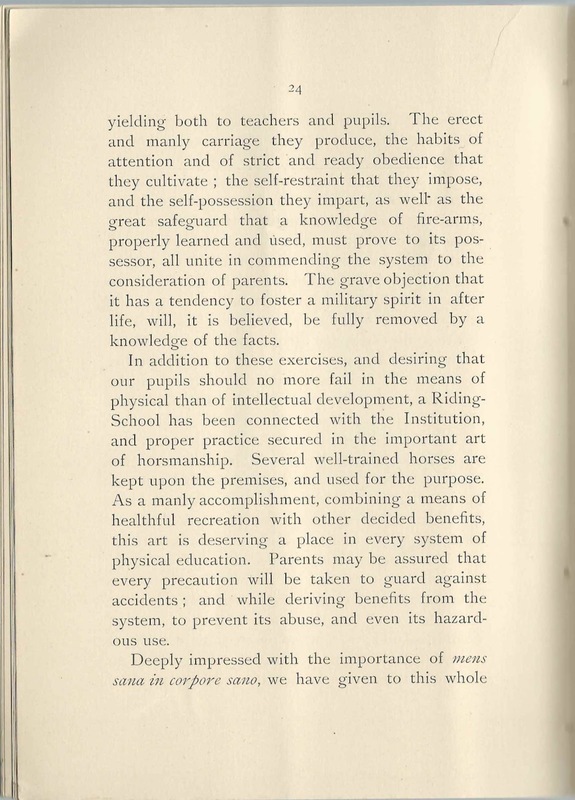 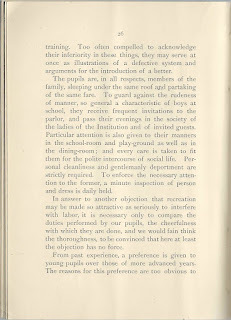 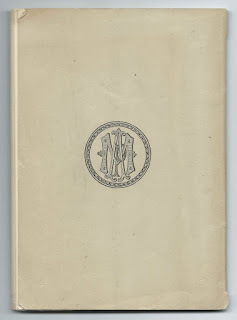 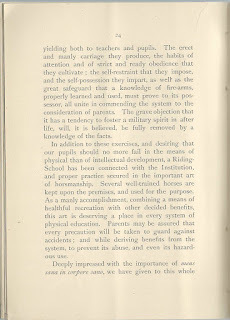 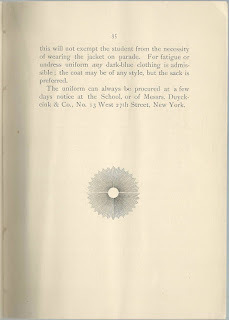 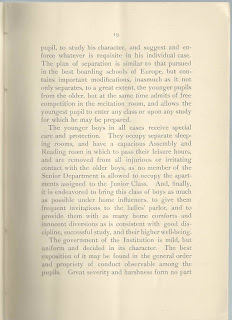 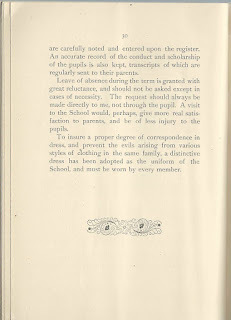 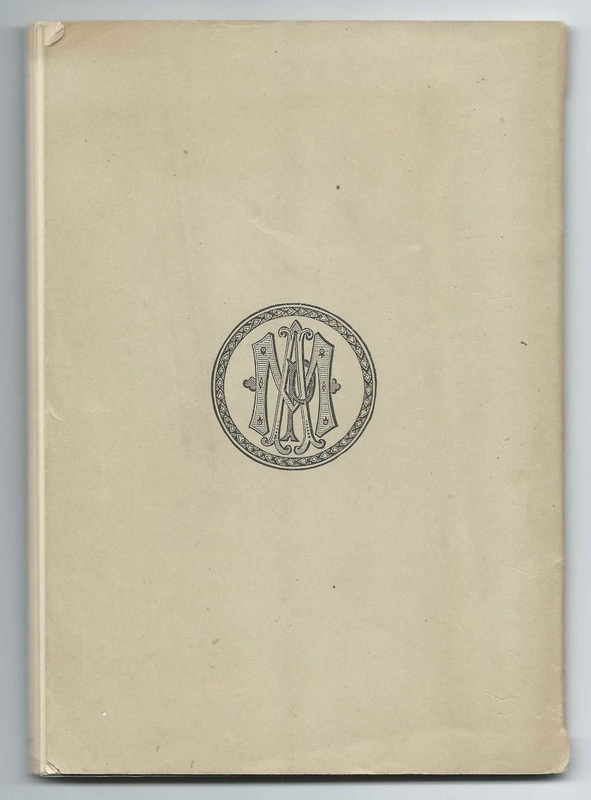 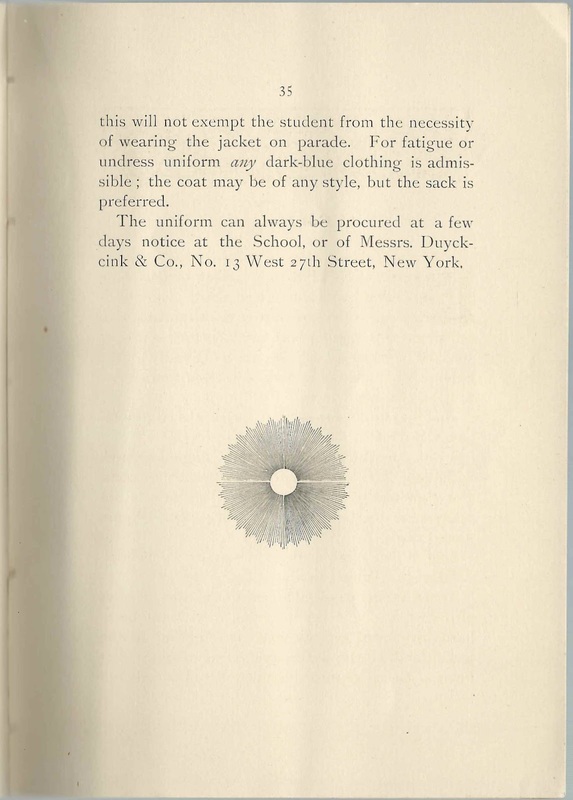 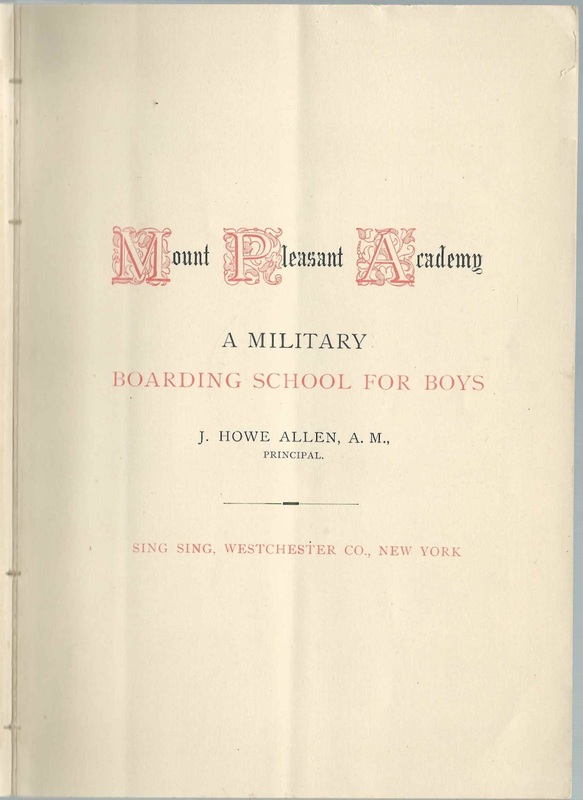 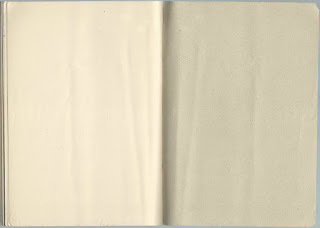 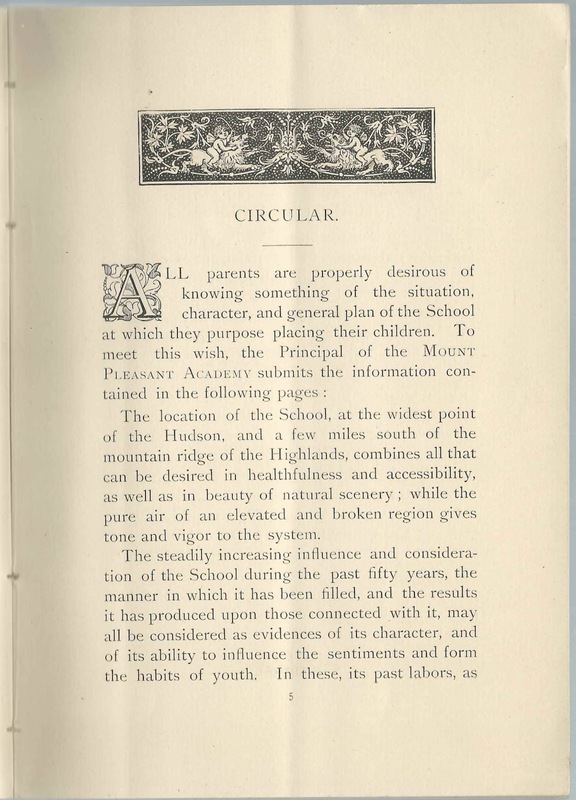 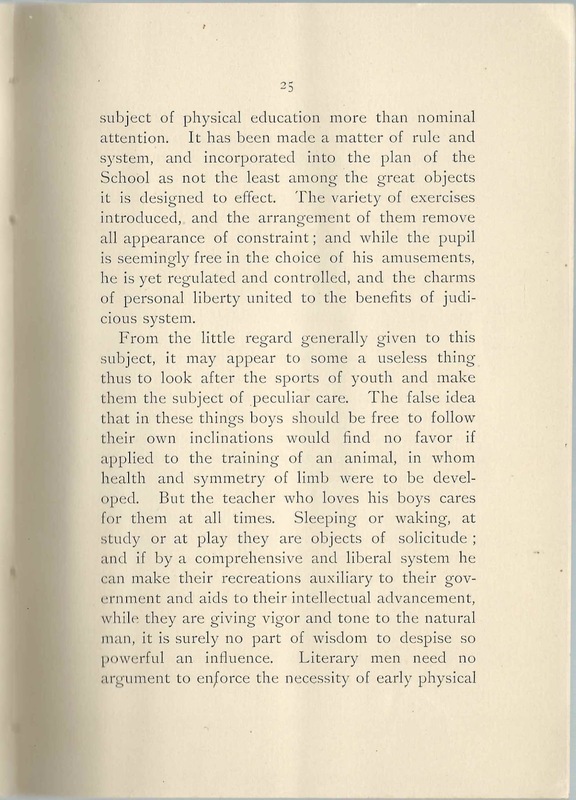 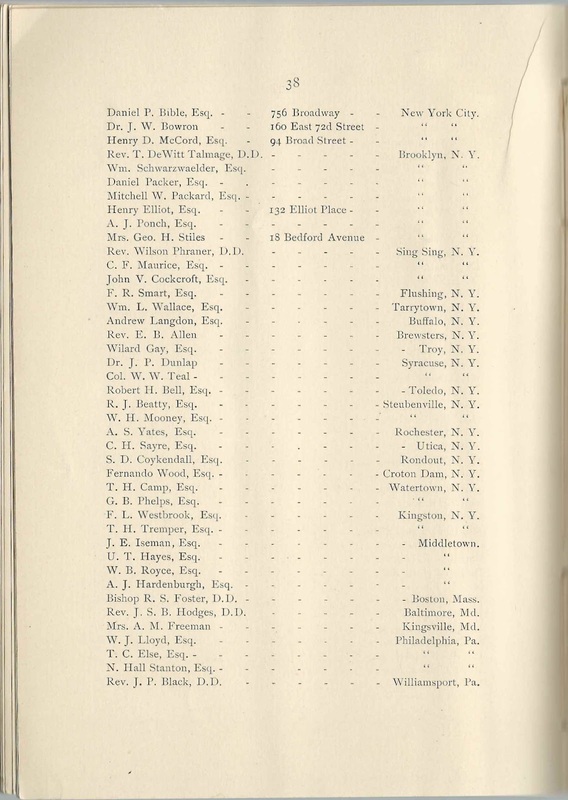 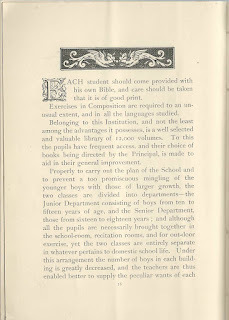 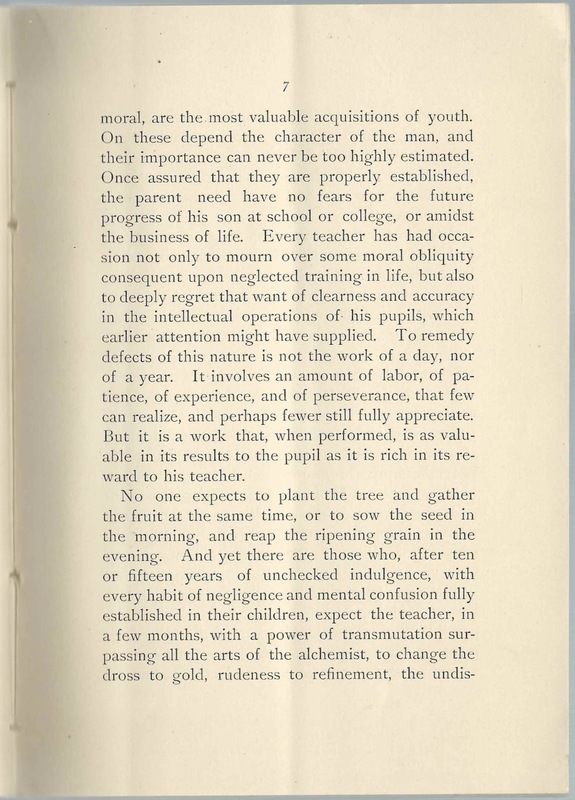 1886 catalog of the Mount Pleasant Academy, a military boarding school for boys, located at Sing Sing, a village in Ossining, New York. Mount Pleasant Academy was opened in 1814 and operated for over one hundred years. 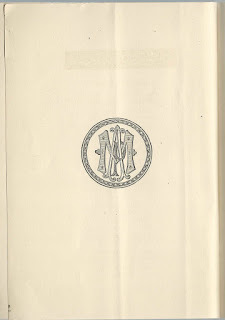 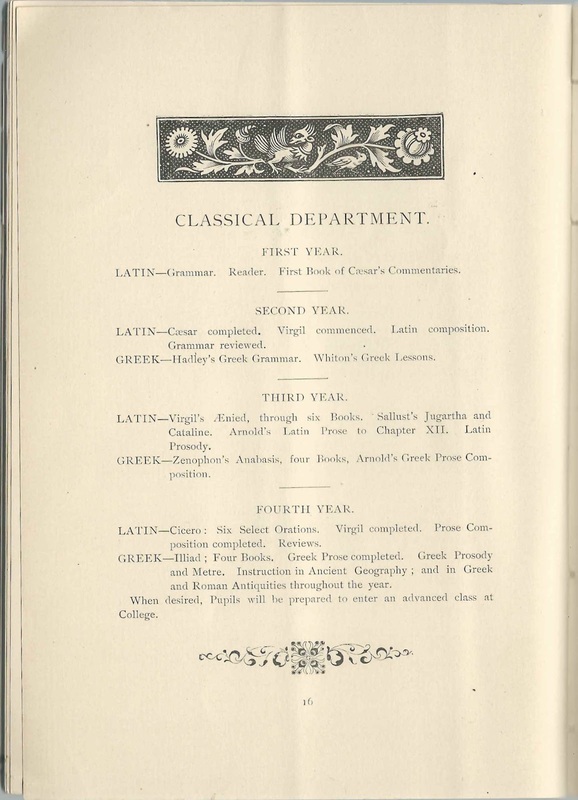 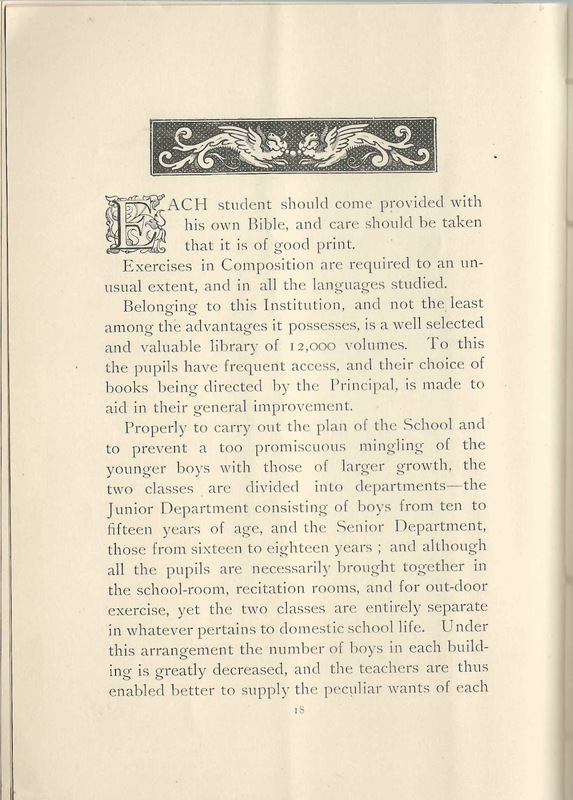 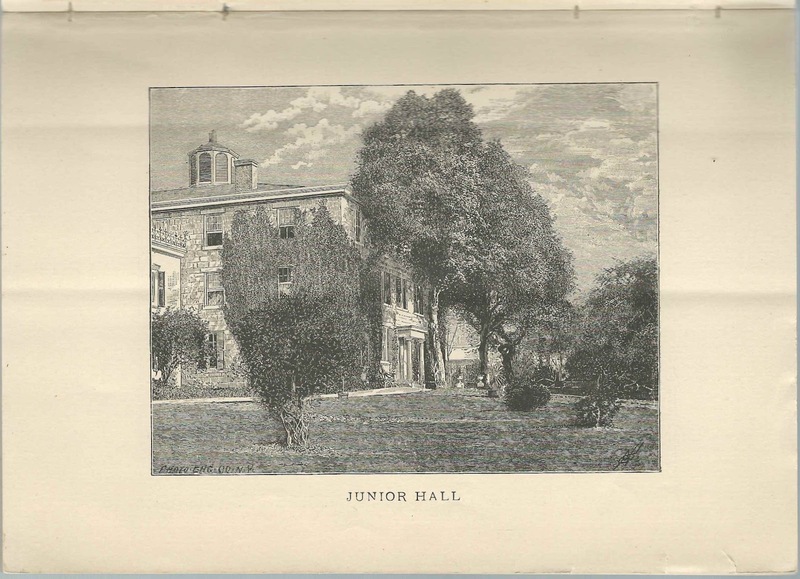 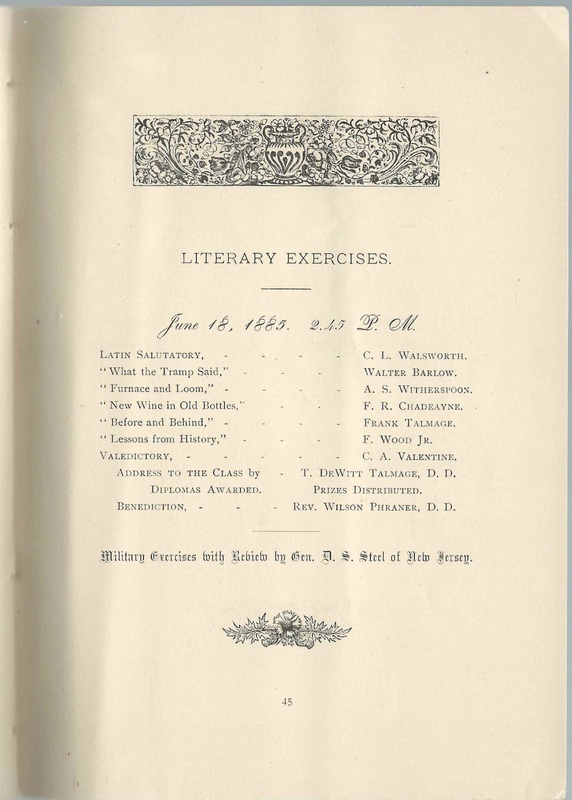 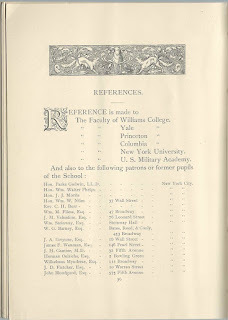 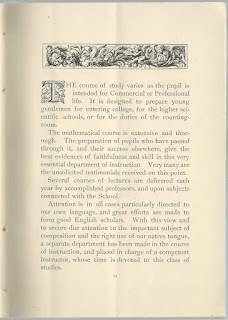 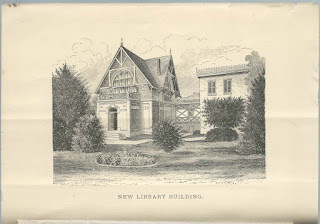 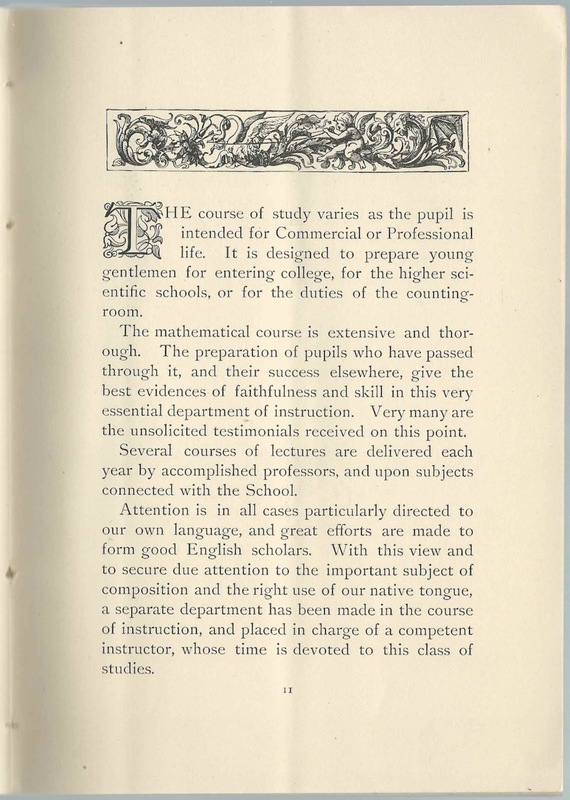 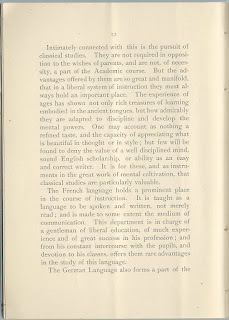 The catalog measures approximately 7-3/4" by 5-1/2" and contains 47 numbered pages, including several engravings and many names of faculty, administration, students and people offering references. 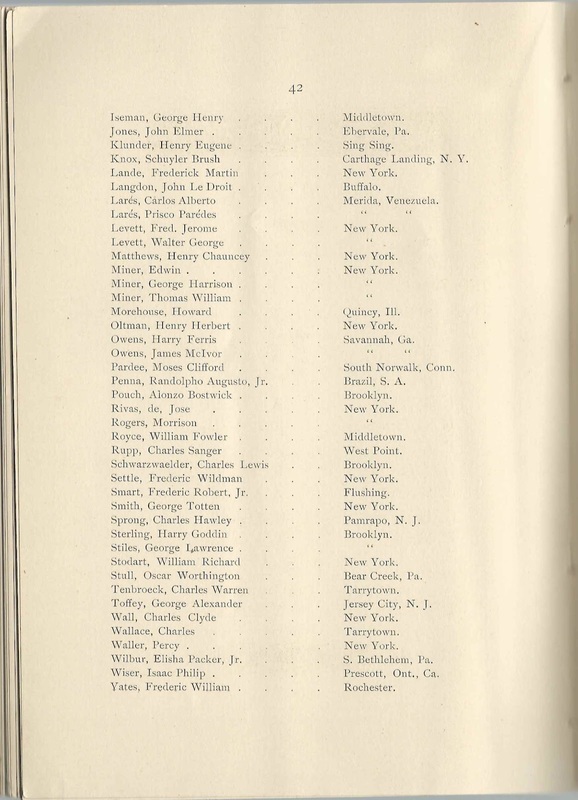 An alphabetical list of names appears at the end of this post. 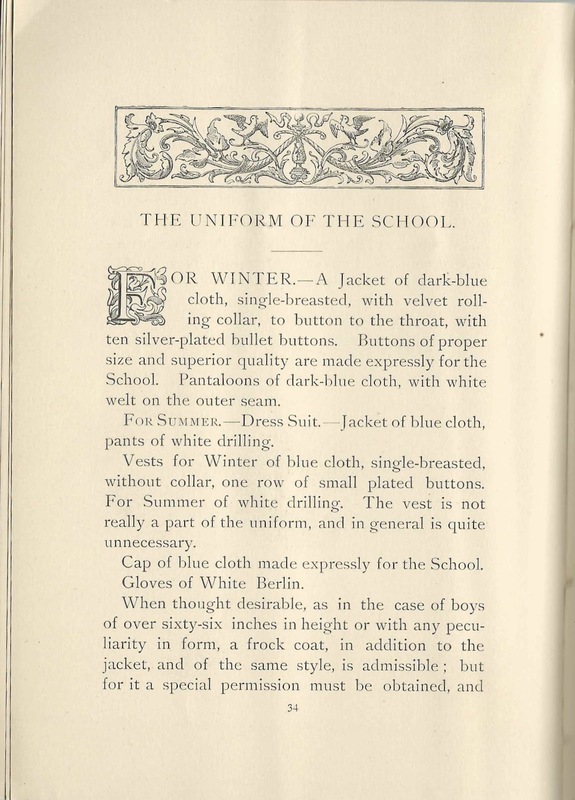 If you click on the first image, it will enlarge in a new window; you can then place your cursor at the bottom of the page and easily click through the entire set of images. 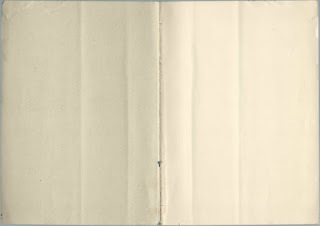 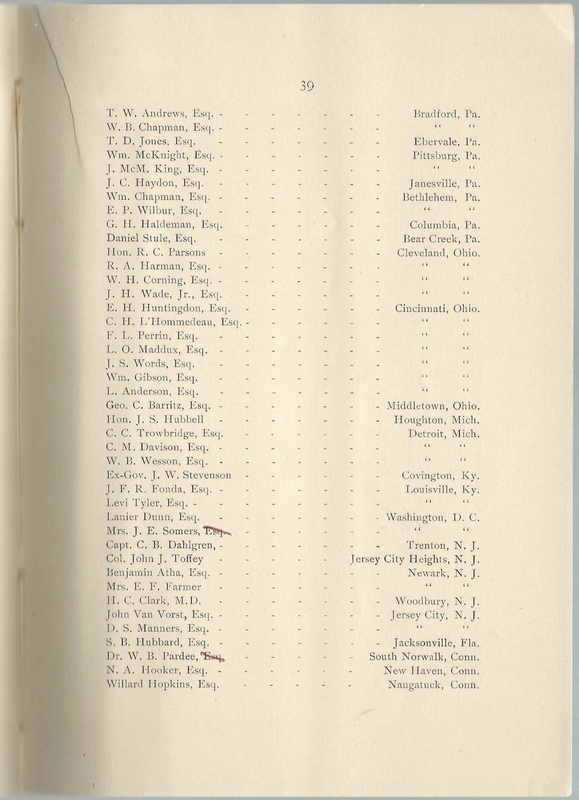 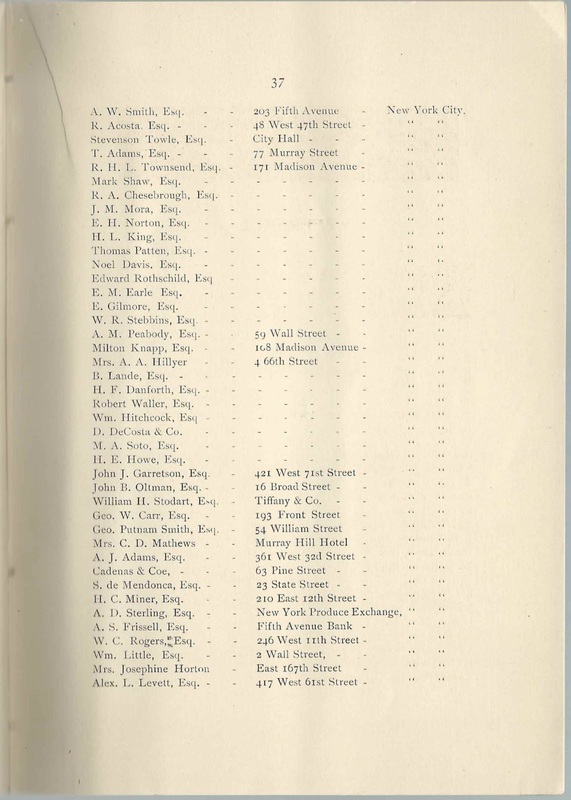 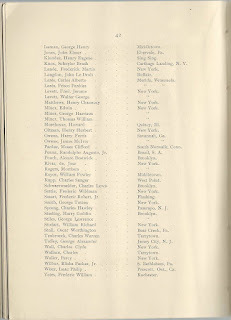 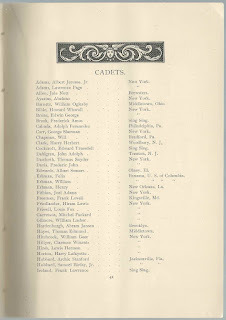 Names in the Catalog, some of which may be repeated: Note: Given names within a specific surname might not be in alphabetical order. 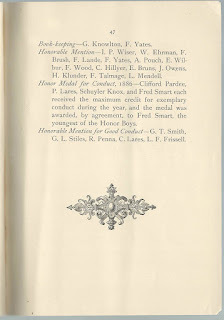 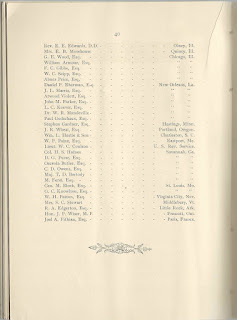 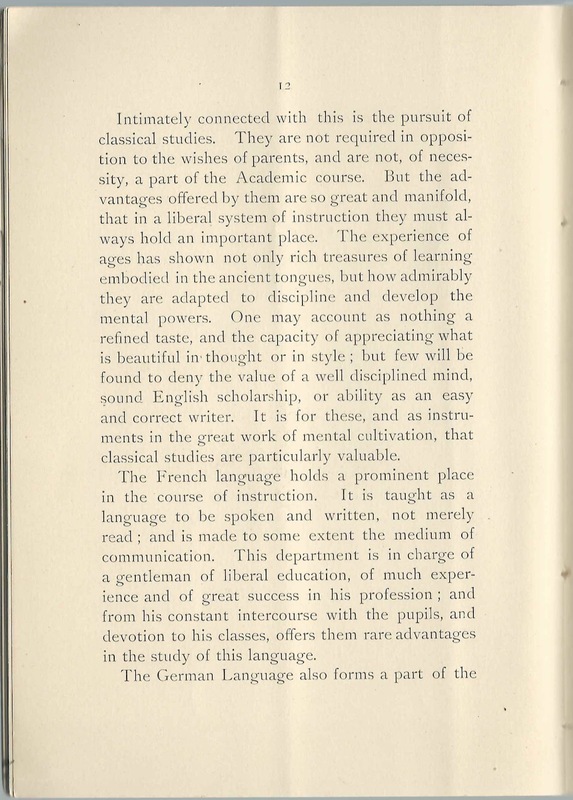 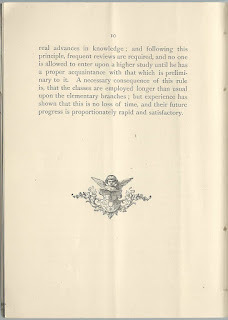 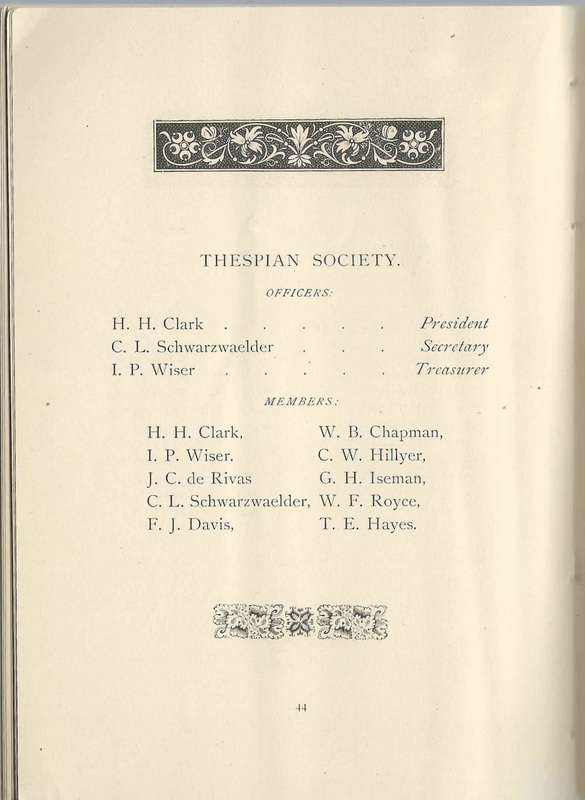 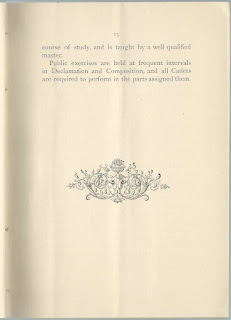 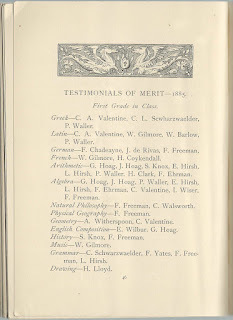 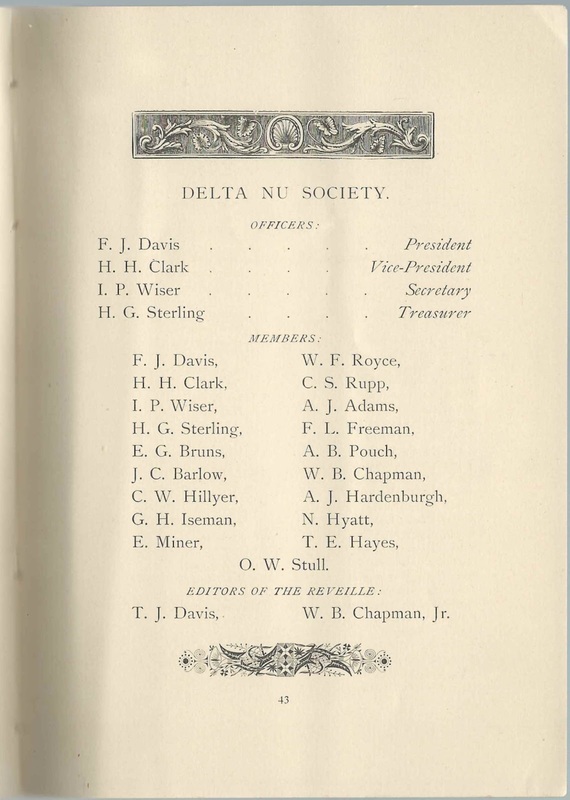 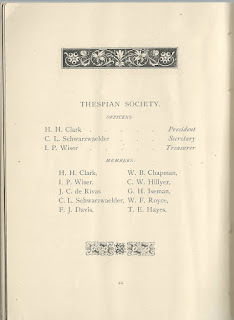 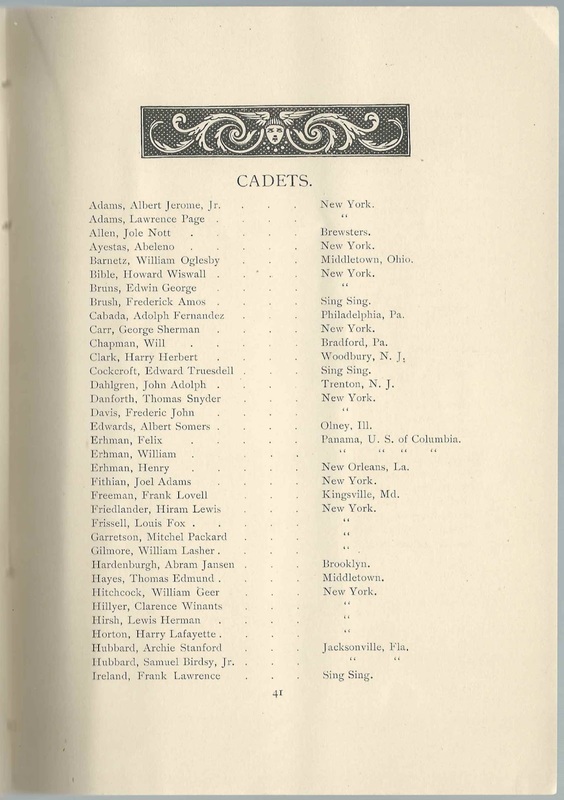 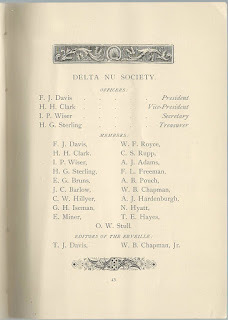 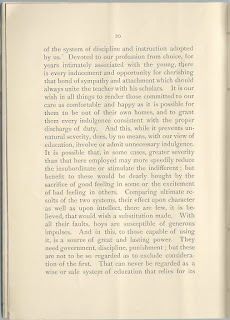 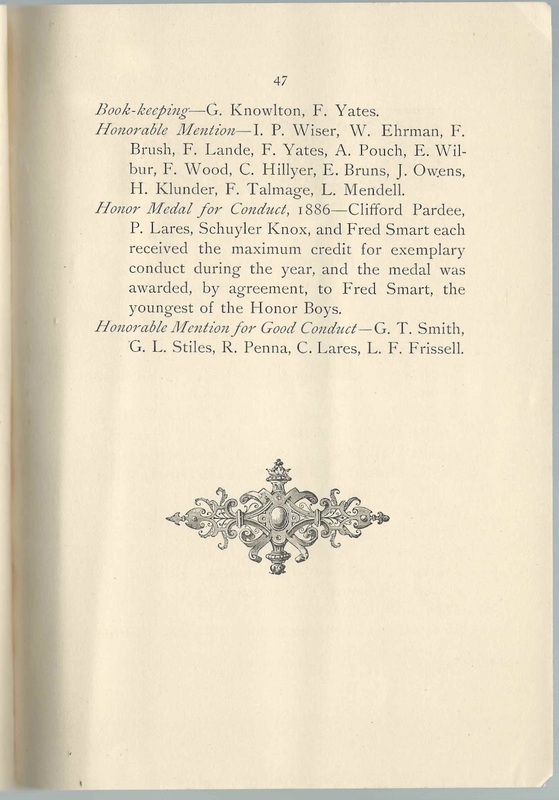 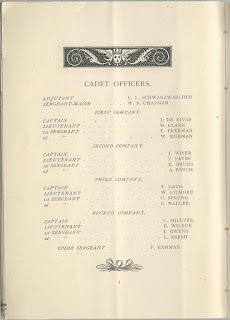 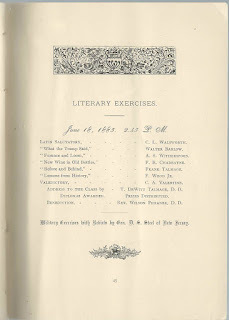 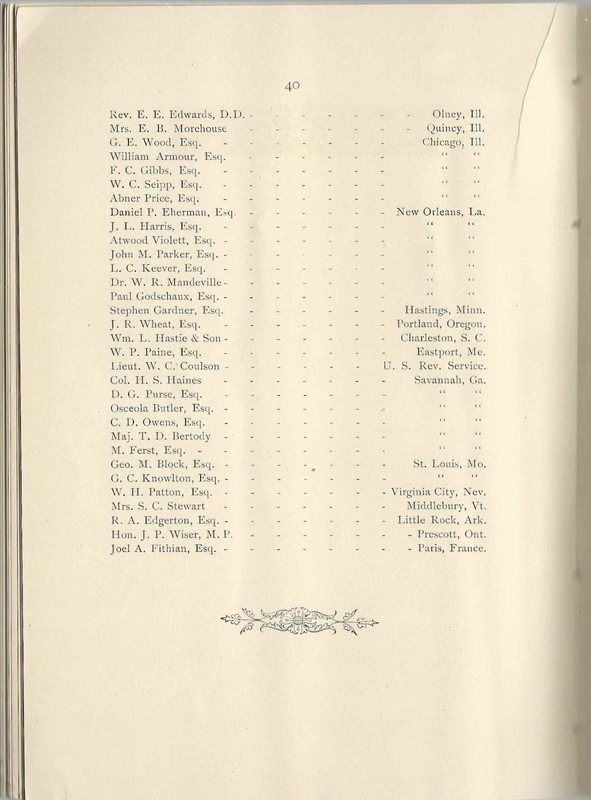 T. J. Davis, co-editor of the Delta Nu "Reveille"
Charles Lewis Schwarzwaelder of Brooklyn, New York; cadet; member and secretary of the Thespian Society; received Testimonial of Merit in Greek, 1885. 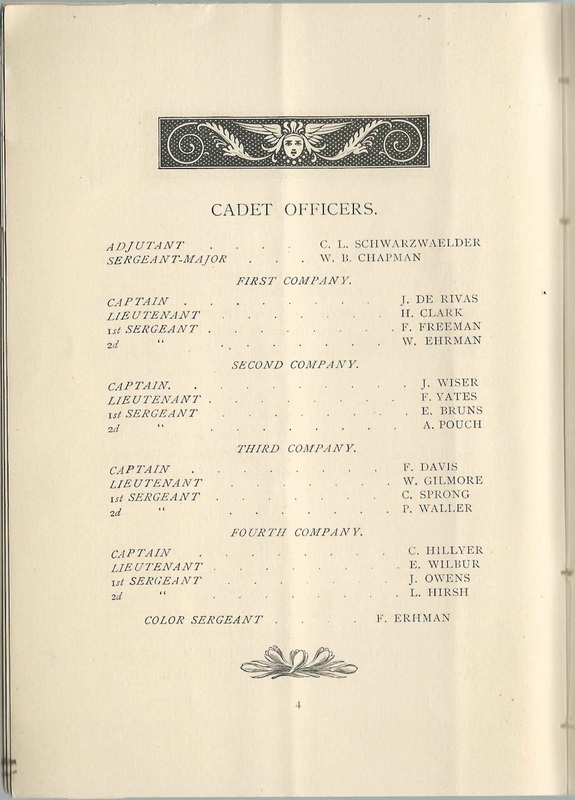 He was also Cadet Adjutant.